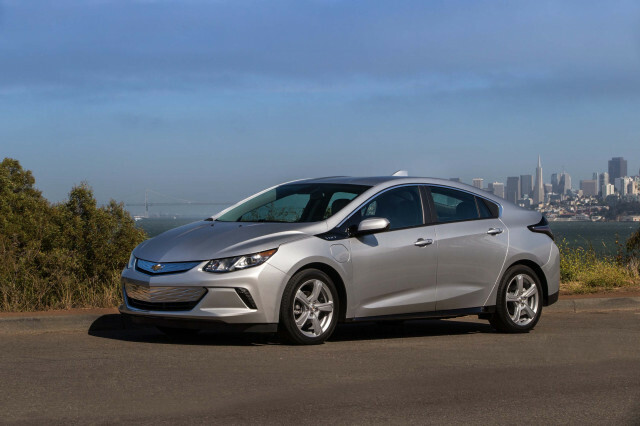 In June, we heard that the 2019 Chevrolet Volt will come with a faster charger and more luxury features. Now, CarsDirect has learned how much those features will add to the price. The price of the base Volt LT model will go up $300 to $34,395, including destination and before any applicable federal or state tax breaks. The top-level Volt Premier will cost $38,995, before incentives, which is $550 more than a 2018. For the extra $300, the base Volt gets new regenerative braking software and a "Low" range in the shifter that gives much stronger regen than the car had before. Chevy adopted the program from the Bolt EV. The updated Volt also gets new software in the center screen that will allow drivers to better monitor how the car is using electricity. It breaks out usage for climate control and lights, as well as driving efficiency. Finally, a new tire-fill system sets off a chime when the tires reach their recommended pressure. 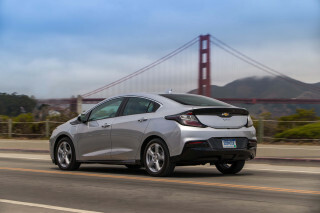 The 2019 Volt Premier also gets a standard power driver's seat and a faster, 7.2-kw onboard charger, which can bring recharge times down to 2.5 hours on Level 2. Both of these features are optional on the LT. The Driver Confidence II package, which offers adaptive cruise control, now also offers a setting to switch back to standard cruise control. The Qi wireless charger that comes packaged with the navigation system has been relocated where it's easier to reach in front of the shifter.